Ta-dah…. 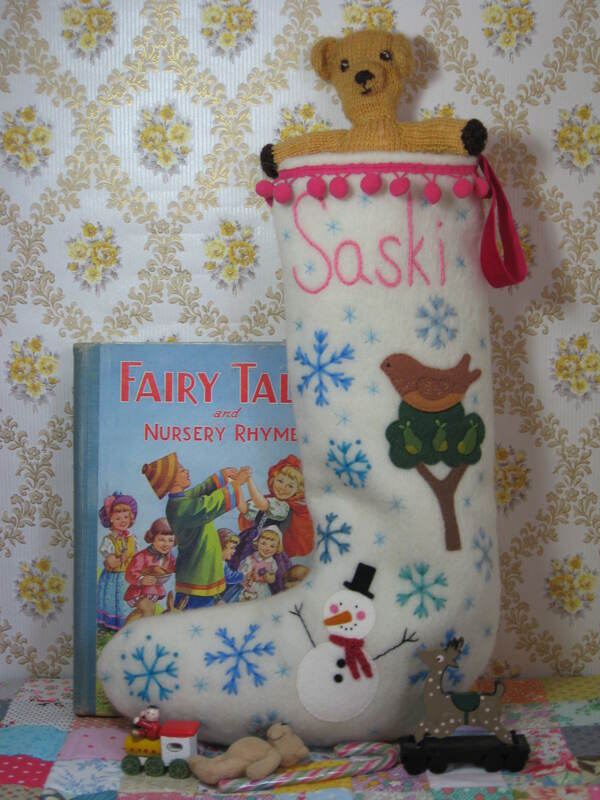 the Christmas stocking for a very lovely little girl is finally finished. Actually I managed to get it finished last week so was able to take it to Clutter City and show it off, but it was so frantic getting things ready I didn’t have time to take photos and pretend I was David Bailey. The stocking is lined with a rainbow coloured striped fabric which makes me think of brightly coloured peppermint sticks, and as pink is Saski’s favourite coloured I’ve used it for her name, the pom-pom trimming and the velvet ribbon which it can be hung up by. I’ll be putting pictures of all the stockings available into the Folksy shop in the next few days, I’m still trying to catch up after the weekend. 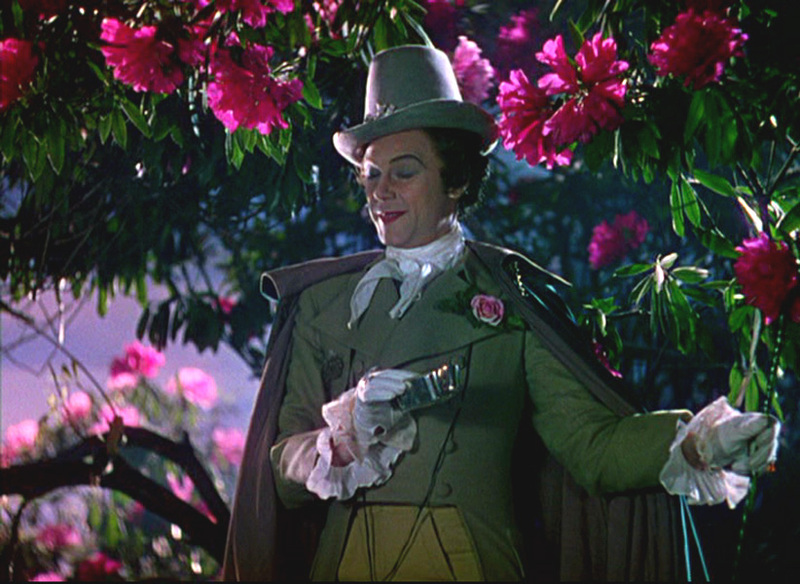 I just hope Saskia’s dad has been practising singing The Twelve Days of Christmas! 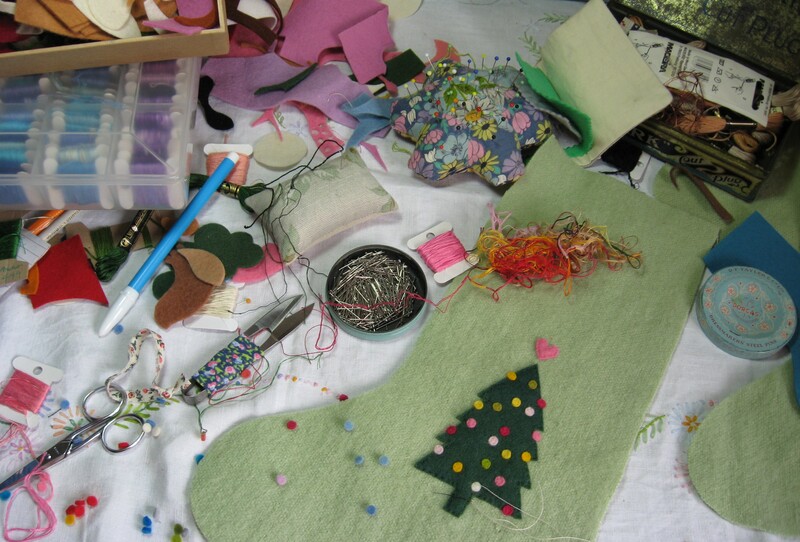 I’m currently making Christmas stockings for a trio of young misses in Bungay. The stockings are made from vintage wool blankets which tend to come in some lovely colours. 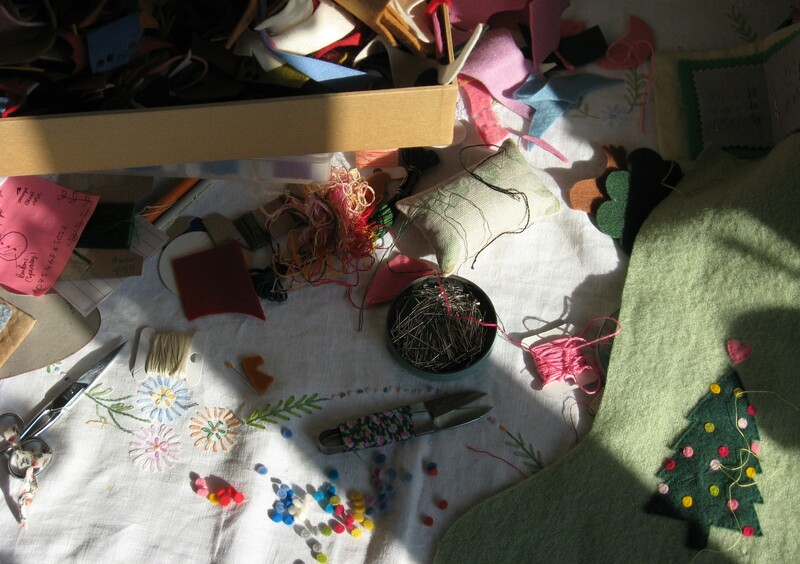 I’m appliqueing on each stocking a seasonal motif, so far I’ve appliqued a snowman and a Christmas tree….I’m still a bit unsure about the last item. I originally thought about a pudding but am now leaning towards a little partridge in a pear tree . I’m using pure wool felt because it is just so lovely to work with. I really hate acrylic felt (ugh it sets my teeth on edge) and I’m not a fan of the wool/acrylic mix either. I appreciate there is a big difference in price but I think the huge (and we are talking Godzilla size) difference in quality more than makes up for it. I have played about with the cheaper felts before and I’ve been so disappointed with the complete lack of wear to them. The pure wool felt cuts really clean, it is nice and sturdy when sewing (no resistance to the needle at all) and the thread just blends into it like you won’t believe. I buy my felt from two different places. Firstly from the incredibly lovely Katrin at Handmade Presents, her organic dyed felt is so beautiful, the colours are softer and I just love it so much. It is a bit more money but we are only talking about the cost of a packet of crisps. 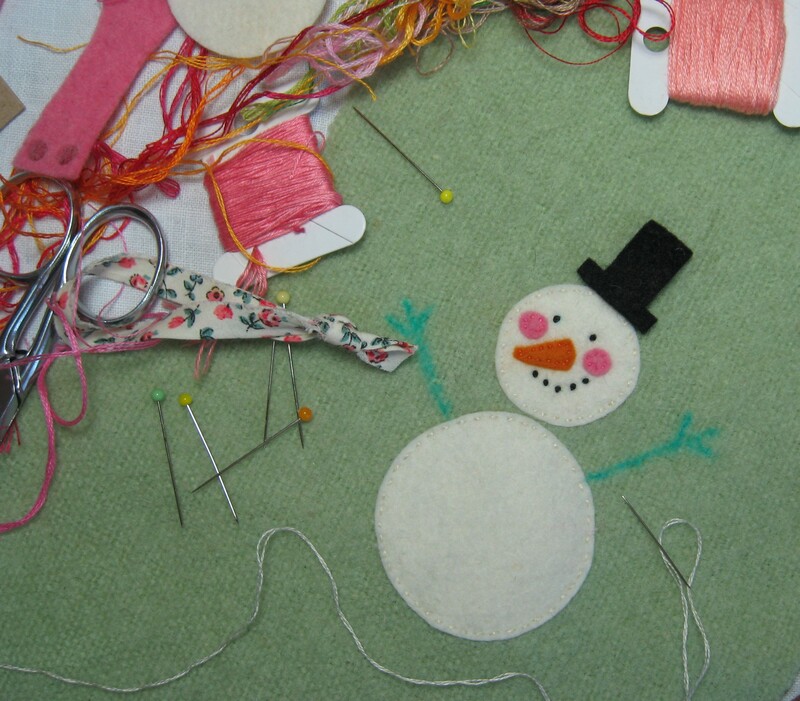 She also sells half metre and one metre cuts of felt which can if you are cutting out a toy pattern then can be really handy. The other place is Myriad, they are a super company and have a great range of colours. They also sell some gorgeous books about doll making and their wooden toys are just the bees knees. 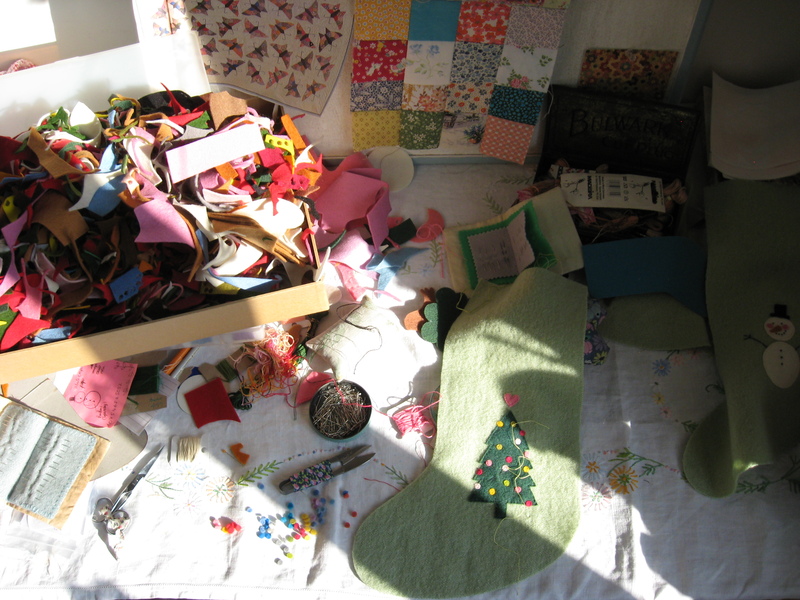 When I’m working on stockings I tend to spread out everything I need on the sewing table, it looks like a right old jumble but everything is to hand. This morning when I went into my studio the light across the table was beautiful. The afternoon light isn’t quite as atmospheric. The room is East facing so in the Summer it is gloriously lit, but in the Autumn and Winter it gets dark rather early. The applique is sewn by hand, and I tend to use pretty small needles for this. I like the Clover Black Gold quilting needles as they are so sharp, they might be a bit small for some people but they are what I find to be comfortable for this sort of tiny sewing. 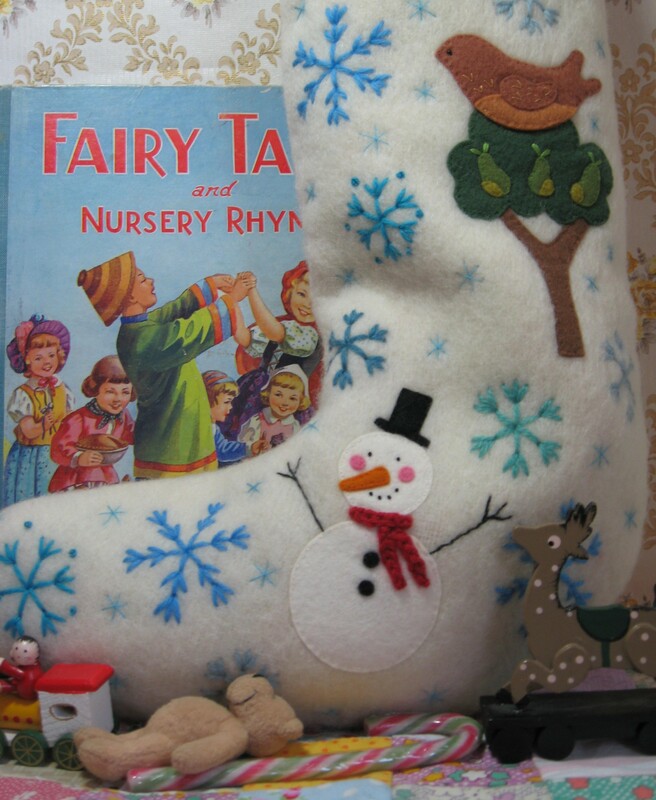 The ‘bauble’s on the tree and the snowman’s cheeks are cut from the wool felt using a big paper punch and then sewn on using just one strand of embroidery silk. The stockings still need to be embroidered with snowflakes (it does feel a bit crazy to be drawing snowflakes when it is so hot outside) and the names of the young ladies.